The head of Iran’s operational zone at the Caspian Sea expressed the hope that Tehran and Baku could boost their cooperation over the exploration and development of hydrocarbon reserves in the world’s largest enclosed inland body of water. 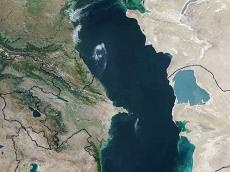 "Exploration and development of hydrocarbon reserves in the Caspian Sea could be a turning point for the country’s oil industry," Mohammad Torabi said on August 7, Shana news agency reported. He added, "We are hopeful that Iran and the Republic of Azerbaijan could boost their development activities in the south of the Caspian Sea". On May 2, Amir Hossein Zamaninia, Iran’s deputy oil minister for international affairs and trading, said Iran and Azerbaijan had agreed to form a joint oil company in what could prepare both to cooperate over the exploration and development of hydrocarbon reserves in the Caspian Sea and elsewhere. Zamaninia was quoted by Trend as saying that the company will be formed within the framework of a deal recently signed between the two parties.